In a non stick deep pan add 2 tbsp of oil. Keep the heat on medium. Now add onions and ginger. When they turn golden brown add turmeric, coriander & red chili powder and salt. Keep the heat on slow medium heat. When the masala is cooked or after 1 – 2 minutes add tomato puree. Don’t let it burn. Now cook it for 2-3 minutes. 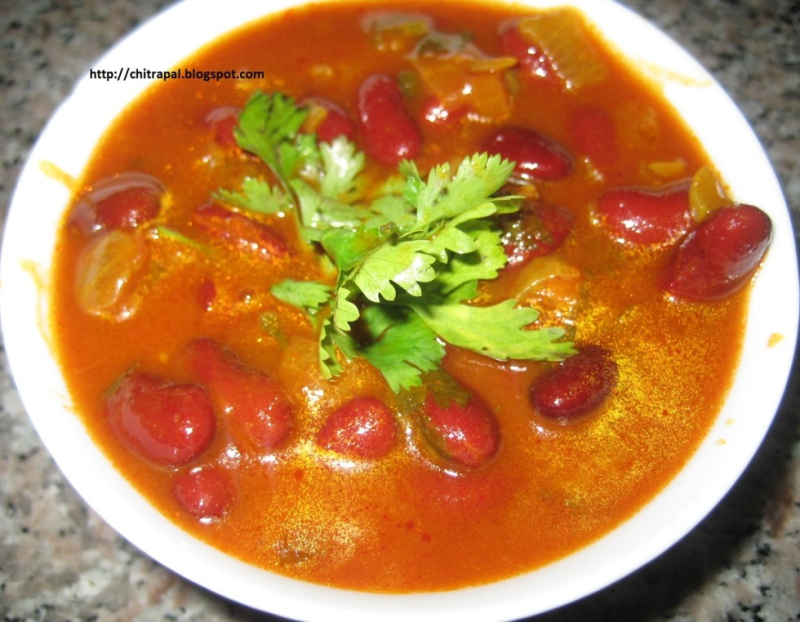 Add rajma and stir so that everything is mixed well. Now add water and let it simmer for 10 minutes on medium heat. Remove from heat now and add garam masala and stir. Serve in bowl garnish with cilantro/ dhaniya leaves and with onion rings. i think u should add some garlic also!!! !